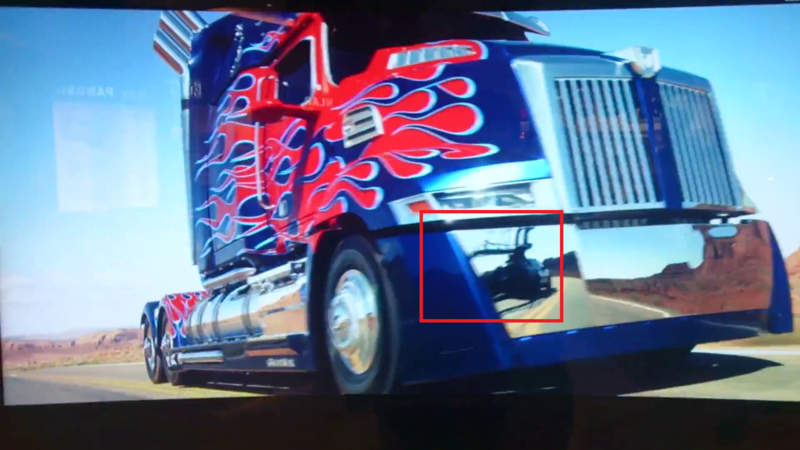 Surely most of you remember the recent Transformers 4 Age of Extinction footage which was shown on the new Samsung Curved Ultra HD TVs to promote the movie, the product and the new 4K format. 2005 Boards member Bariprime and I learned that they showcase the TV with the footage at a shopping mall, near to both of us. Bariprime made it there Sunday afternoon and took three wonderful videos of all the screens. Sadly, when I got there next day, there was no booth at all, I was only couple of hours late. But at least I was lucky enough to find only one screen that showcase the footage but slightly shorter. Check out all of the videos after the jump. We missed a couple of important shots like the mysterious helicopter bot and the first look at Hound. 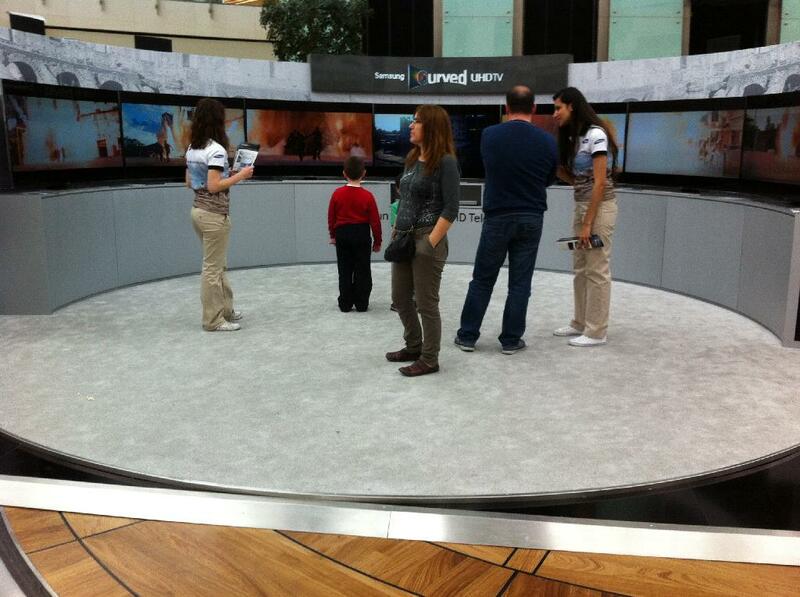 But you guys should search for it too, Samsung is really promoting their new TV everywhere. And 4K shots look absolutely stunning! Be sure to follow TFW as we brings you the best news, as it happens. Lets not forget, you are a "nice" Decepticon. And nice Decepticons always use protection! The evilness in this thread is arousing me…. I remember when the truck was first revealed one of the first things I thought of was the reflection that giant shiny bumper would give off. I remember thinking that the bumper would look good displayed on my wall. The logic in this thread is to overwhelming!!! Oh you and your logic Shockwave. You're my kind of guy. Evil and dismiss lower lifeforms like the scum they are. Nice eye! Didn't know that, really hope the fix it though! ^ Hey, they're only human. It's not a huge deal, and it's not hugely noticeable. Read my post above. Lots of things in all 3 movies that could and should have been edited in post production for the last 3 movies and didn't. I hope that if this is a movie shot, that it gets corrected. I hate when bay makes these movies and has like 6 editors going over each others edits but they still can't seem to get a finished edit together. ROTF was FULL of editing mistakes and the camera rig that's sitting in the street in DOTM that the wreckers drive by bugs me every time I see it. Bay has to get better at making sure this kind of thing gets corrected. Actually, doesn't lockdowns 1 step toy have the blue on it? The flip & change does too. The headlights are painted blue like they are on his chest. 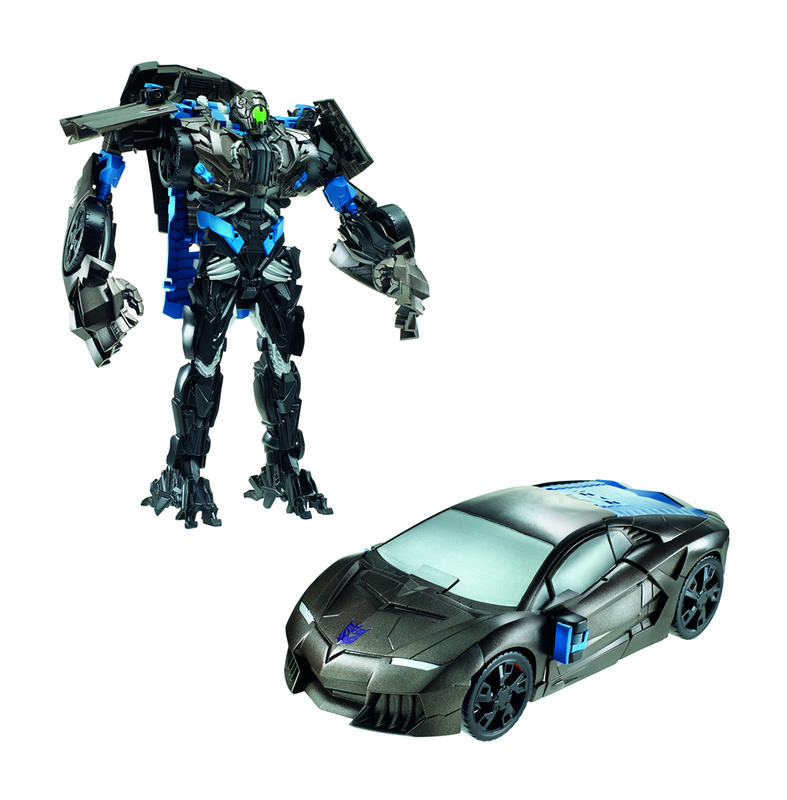 Lockdown's Flip-and-Change toy actually looks really great. I hope the Deluxe is not too bad either.